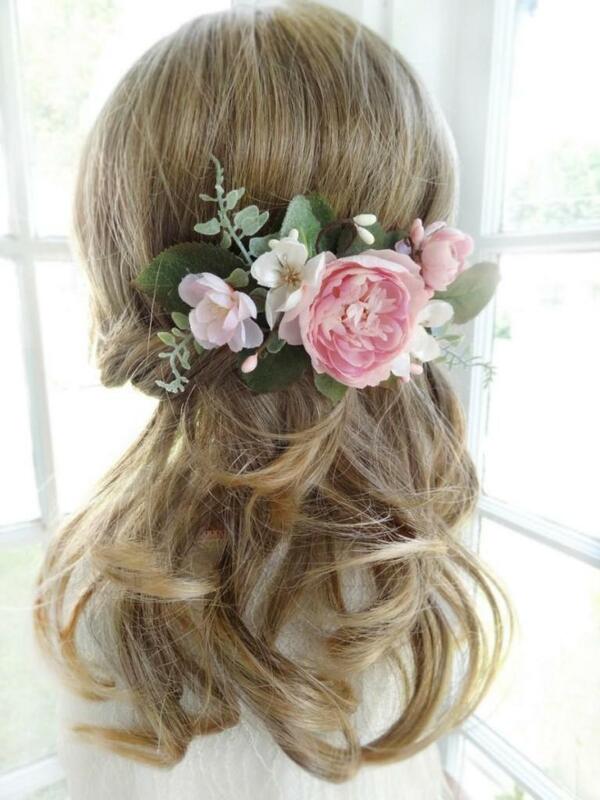 Fresh flowers are simply beautiful; putting them in you hair is very lovely. 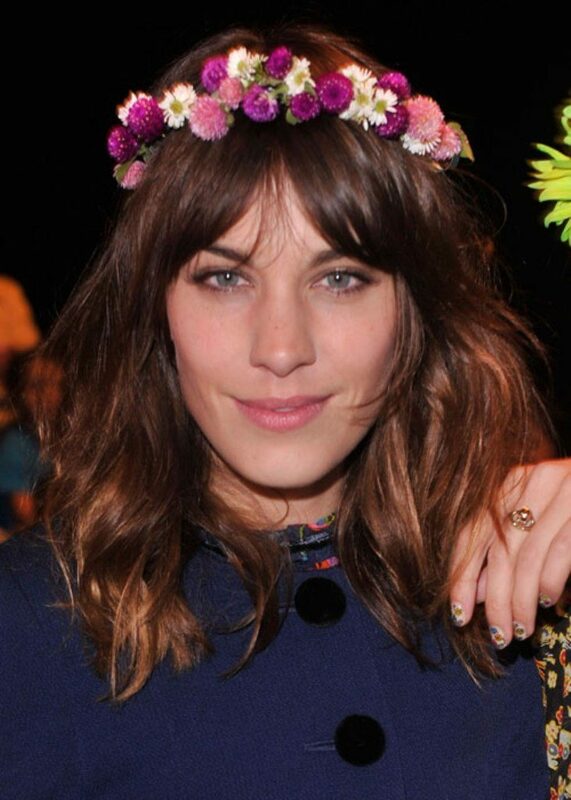 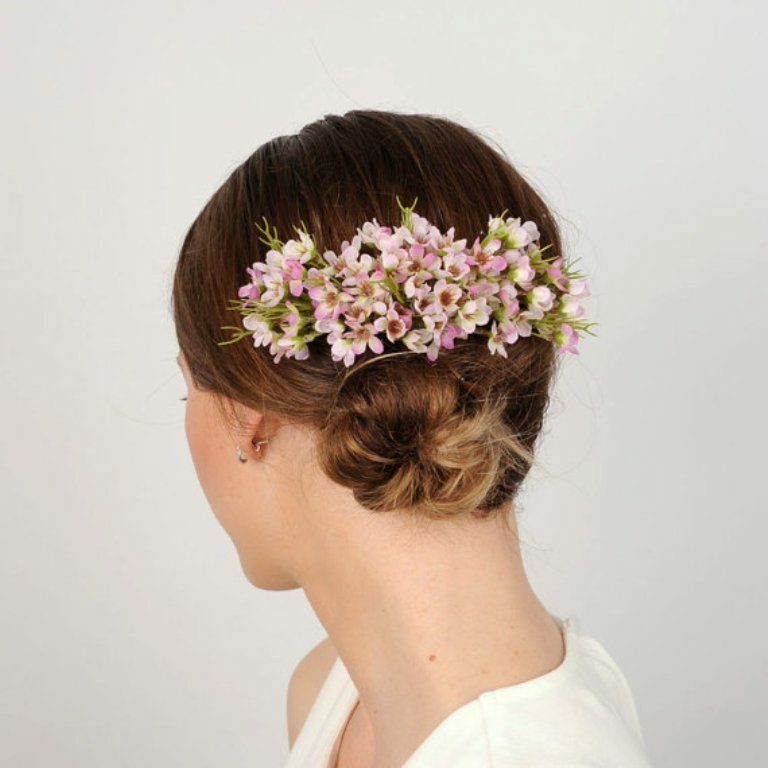 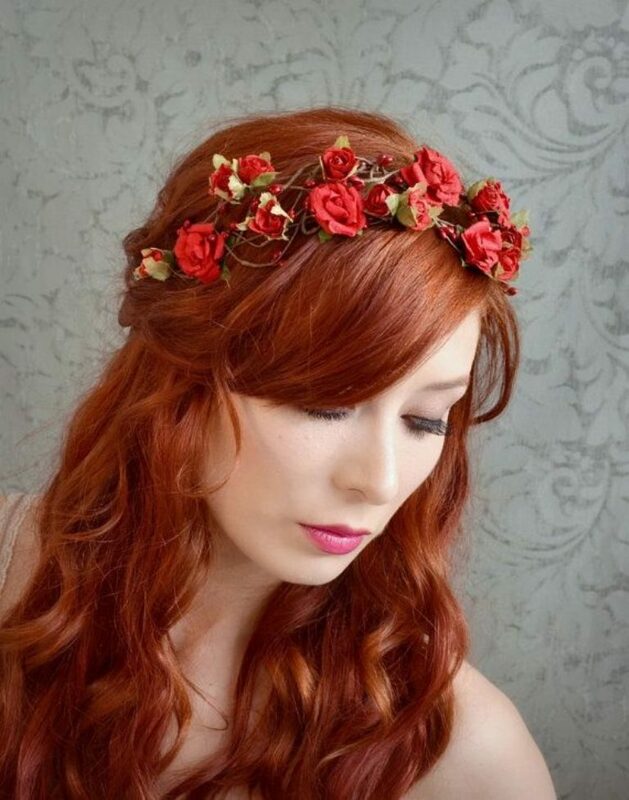 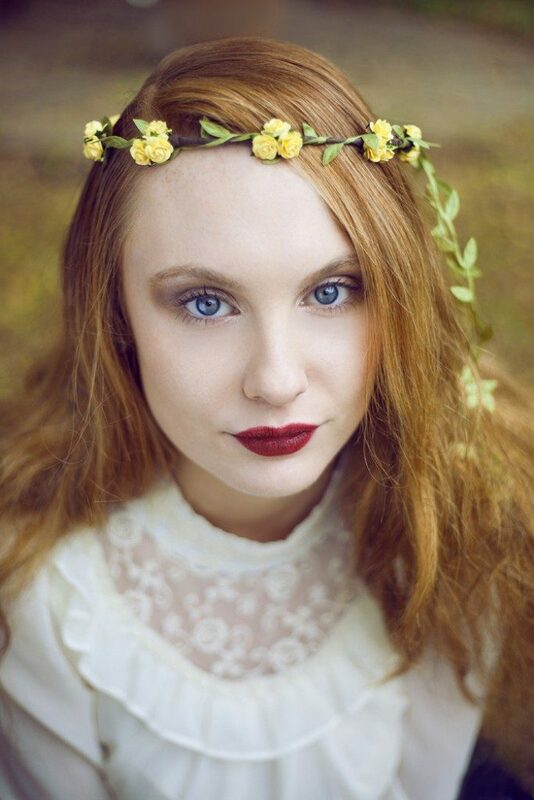 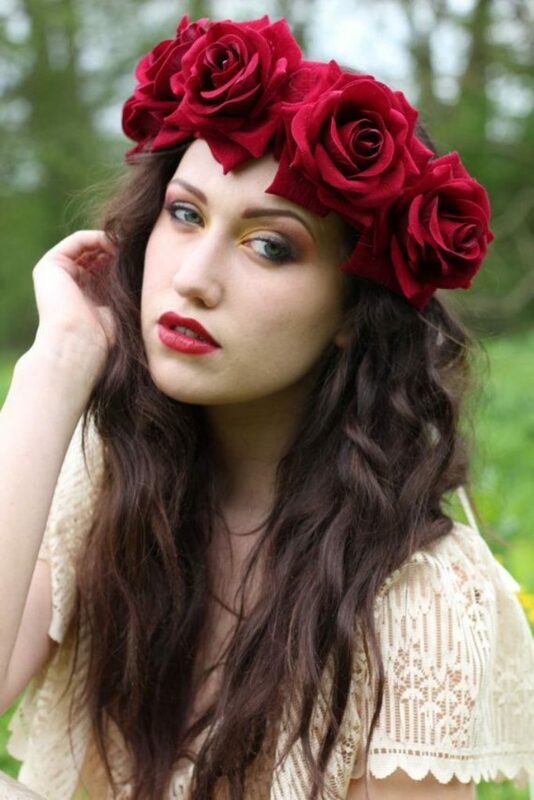 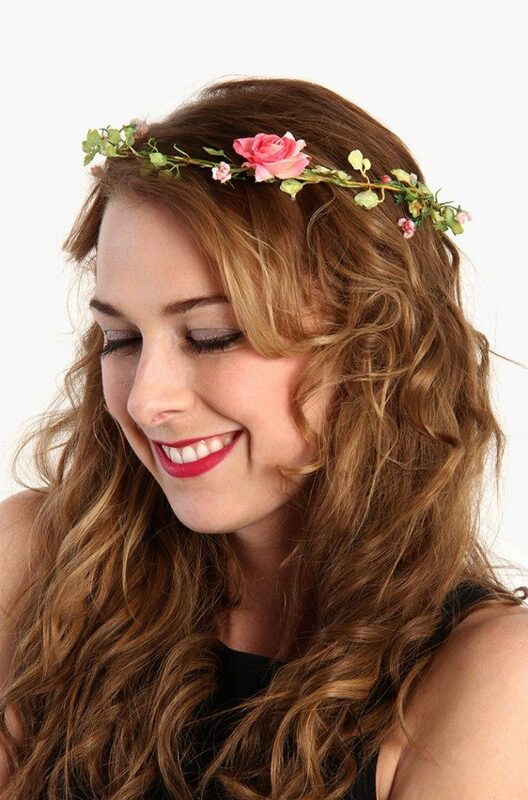 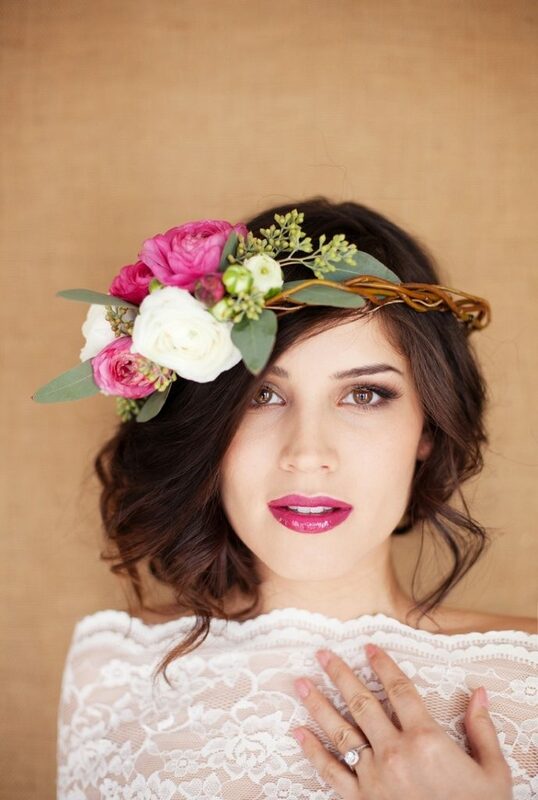 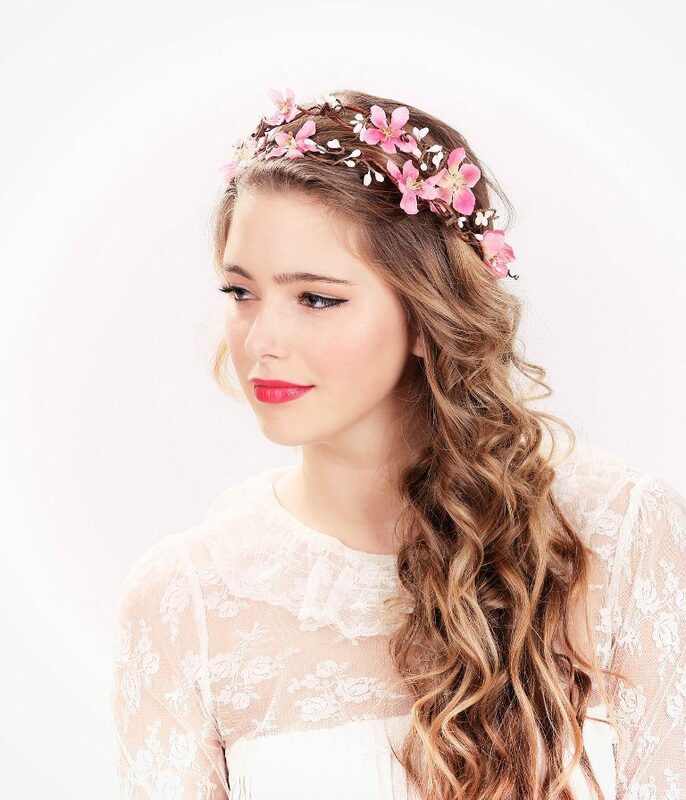 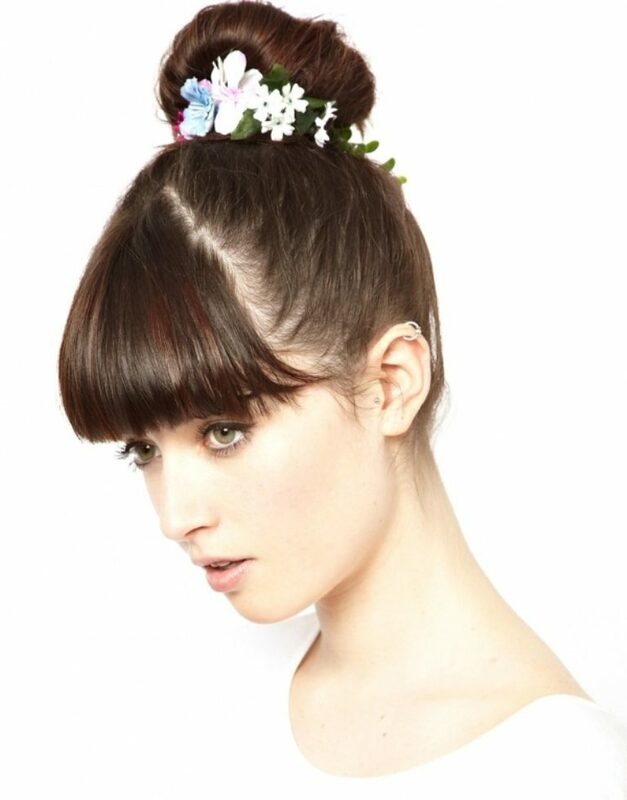 Flower crowns and other kinds of flower accessories for hair are having a little bit attention. 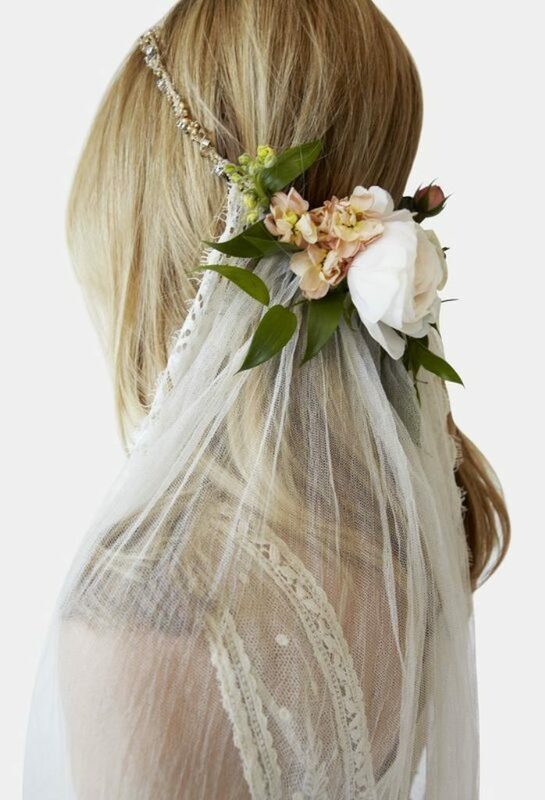 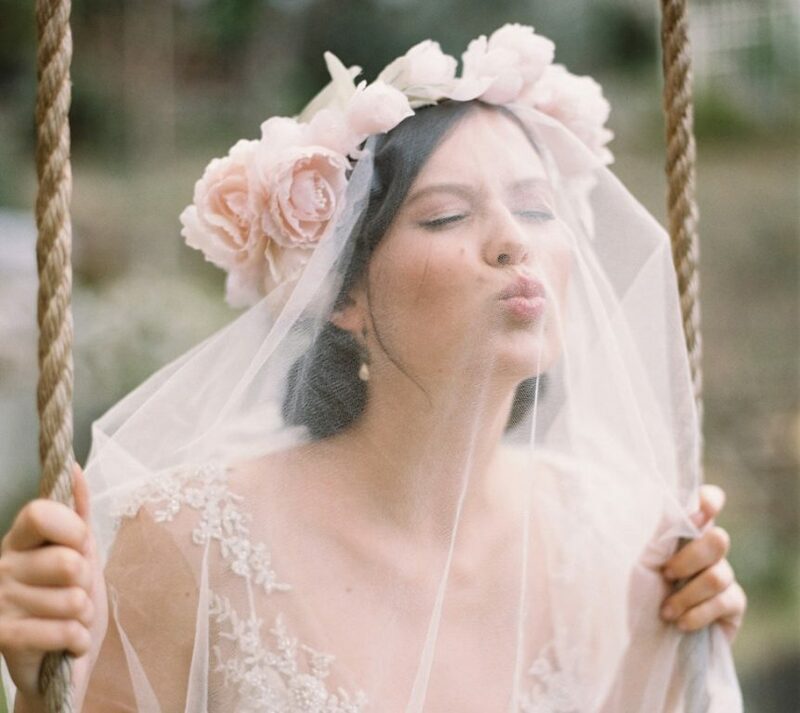 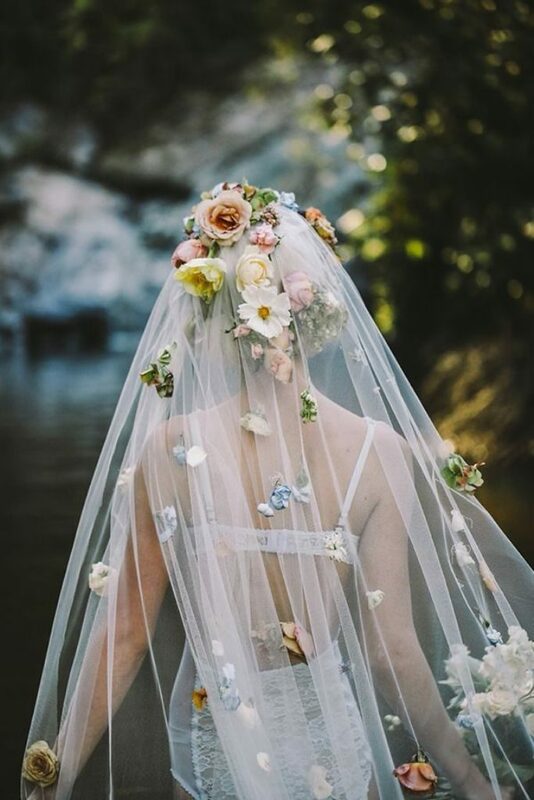 It is no longer the trend for flower girls or boho brides; it is now the trend for every woman who is opting for a non-traditional wedding veil and uses flower veil on her head instead. 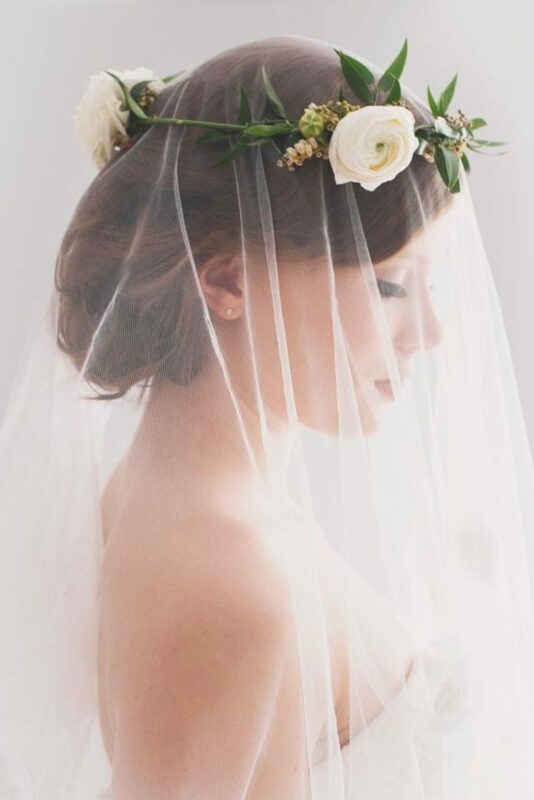 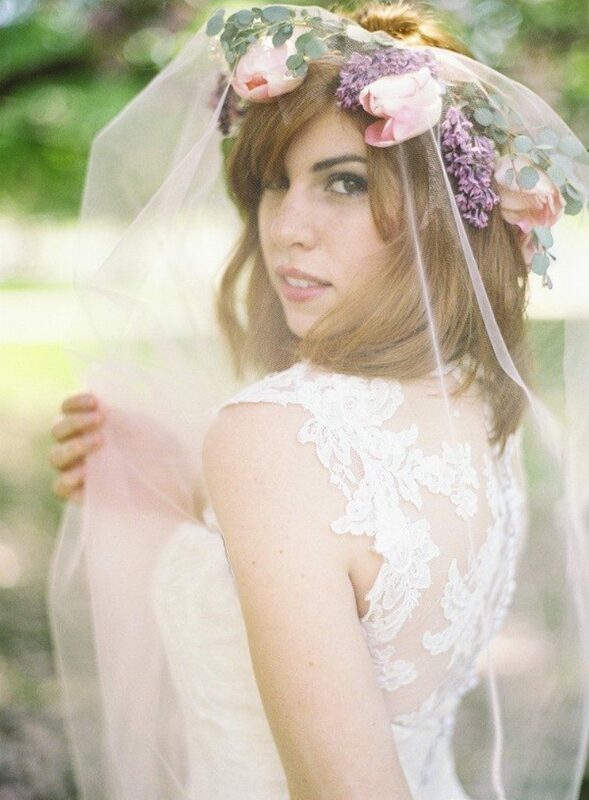 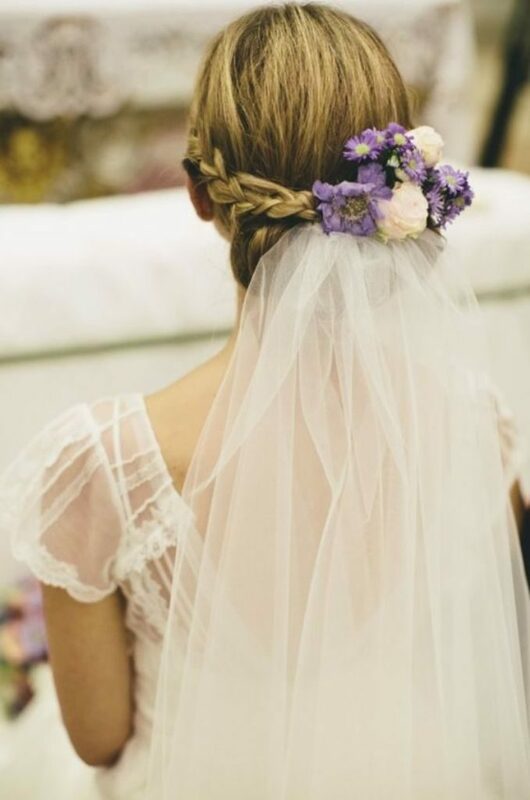 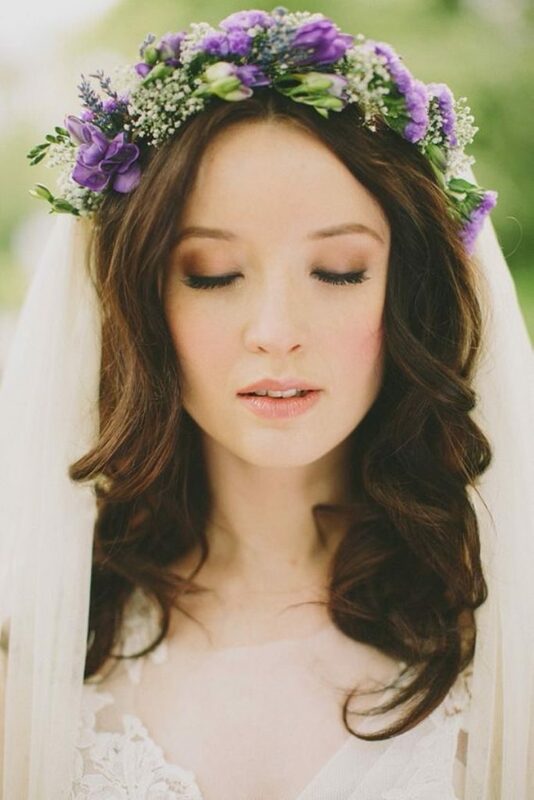 Speaking of flower veil and flower crown; this can be the trend for every bride to pull off for a unique and fresh wedding theme. 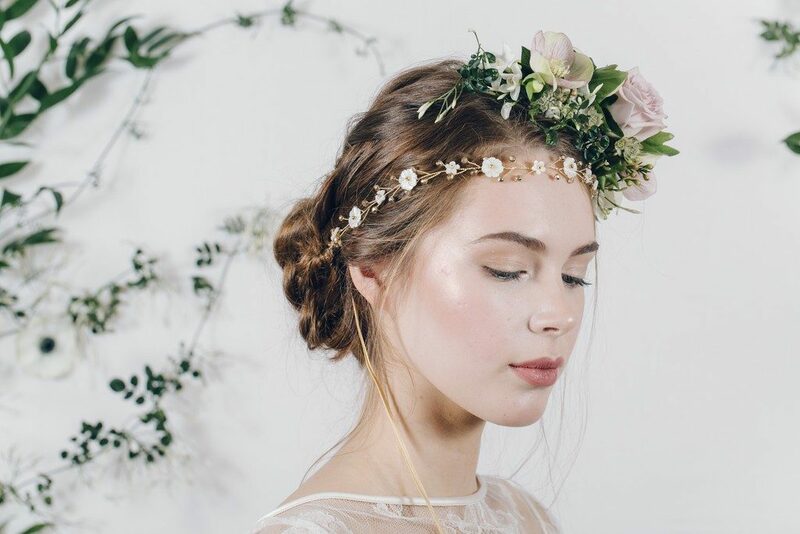 Even if you are not the bride, wearing flower crown or flower accessories for a special occasion will make you appear fresh and more beautiful. 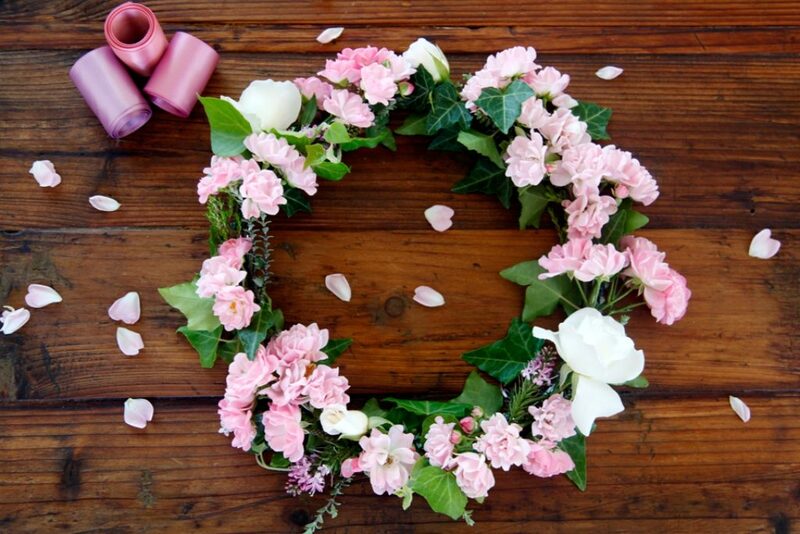 The first thing that you need to prepare is, of course, the flowers and plants of your favorite. 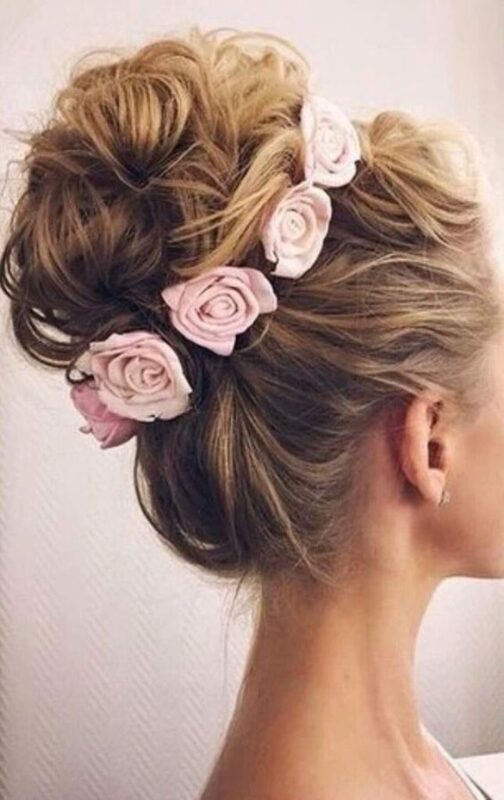 If it is possible to make sure that you choose flowers which seem to be on the way to full bloom flowers rather than choosing the one in full bloom because the not yet bloom will stay longer and fresher on your hair. 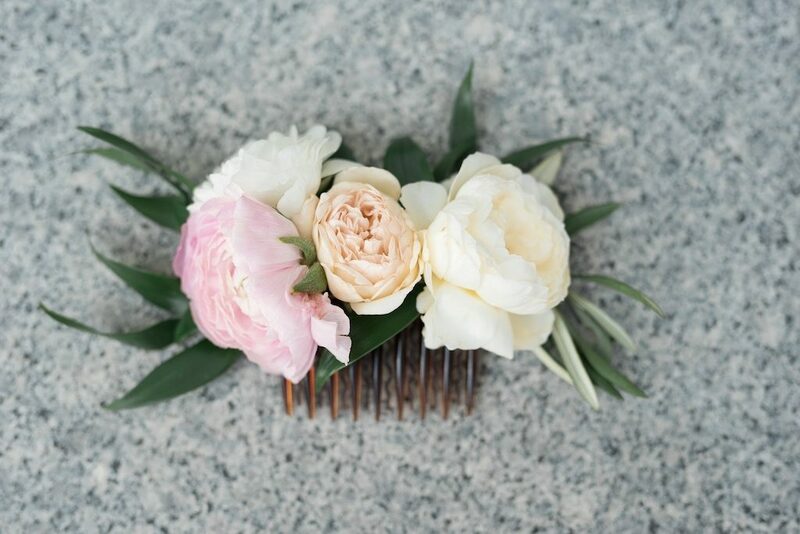 After you have the favorite flower, you will need to groom it a little bit such as removing the dead petals and leaves and leave some inches of stem for styling. 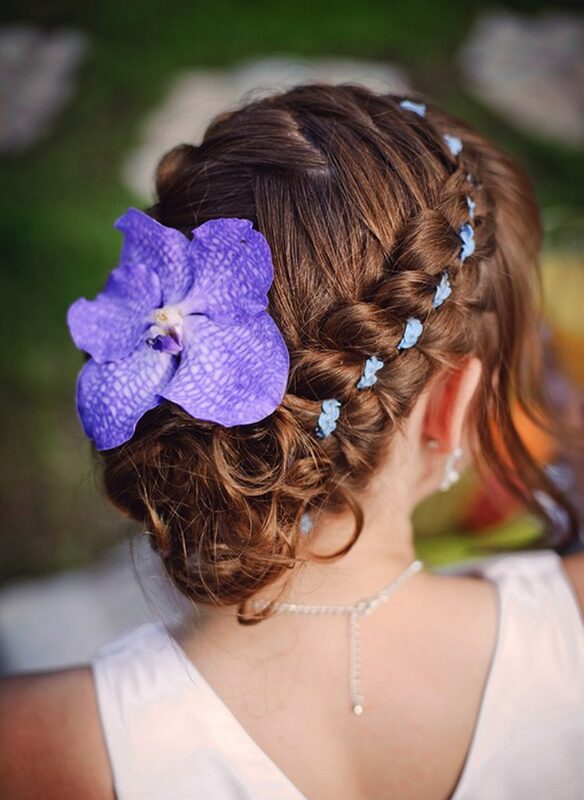 If you want some leaves on your hair; it will be much easier to use separated flowers and leaves. 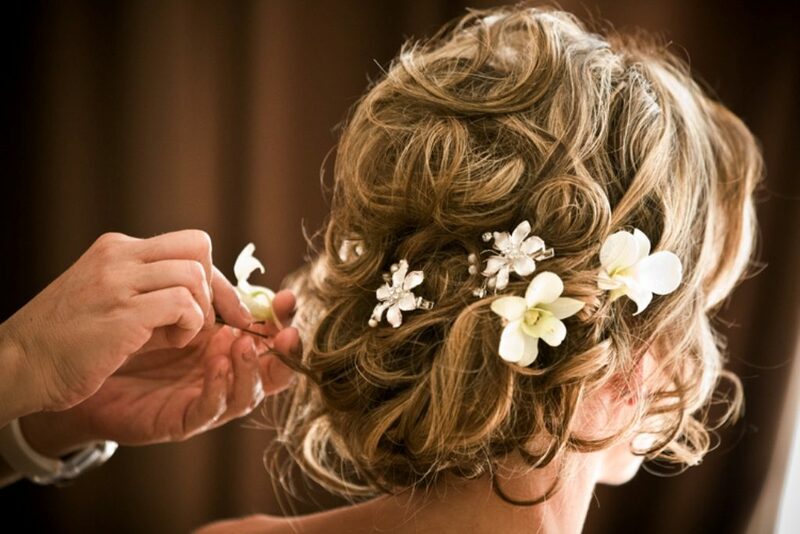 In addition, you will also need a brush, small and large bobby pins, texture spray, and some clear elastic bands. 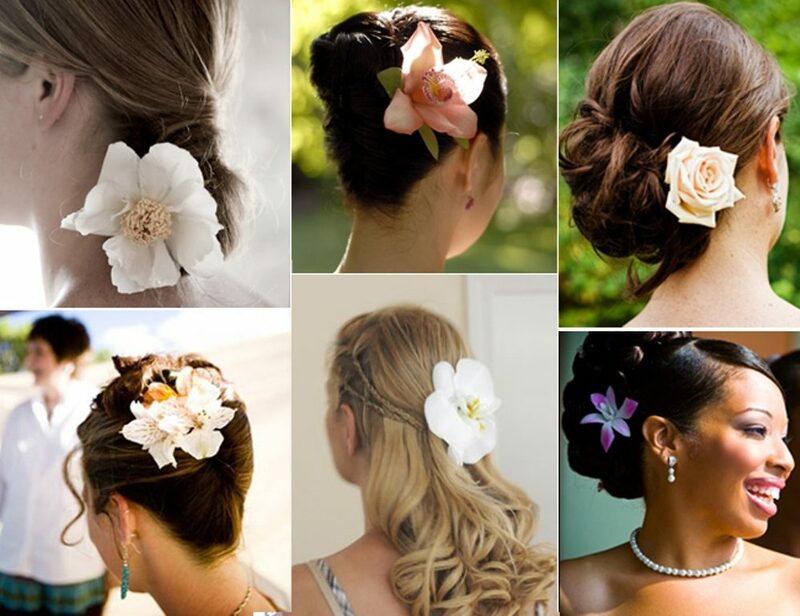 After you have all the preparation on hand and also the flowers and leaves; here are some creative ideas for you. 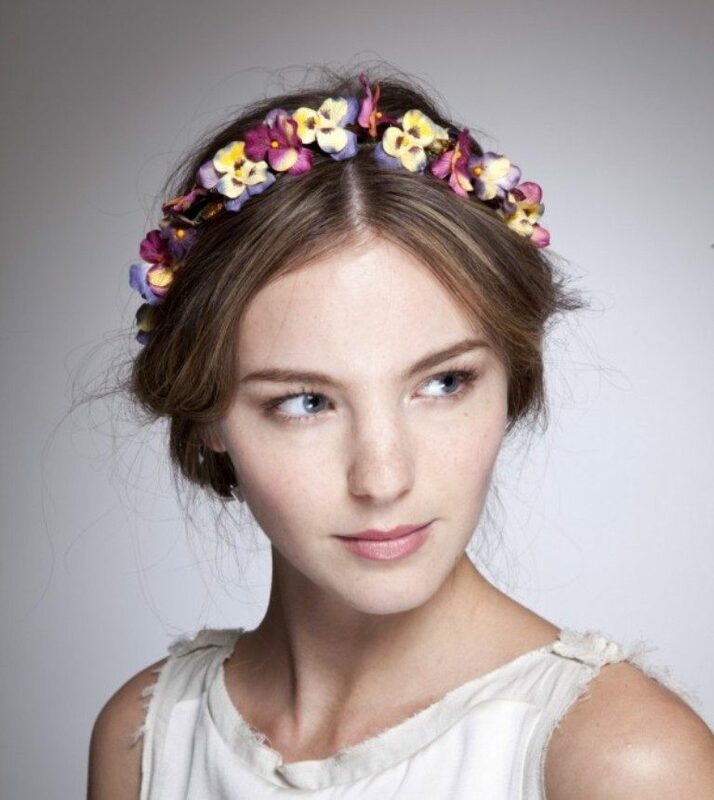 1 Single bloom : full flower crown may receive the most attention right now, but do not look half eye at single bloom flower drama tucked behind your ears. 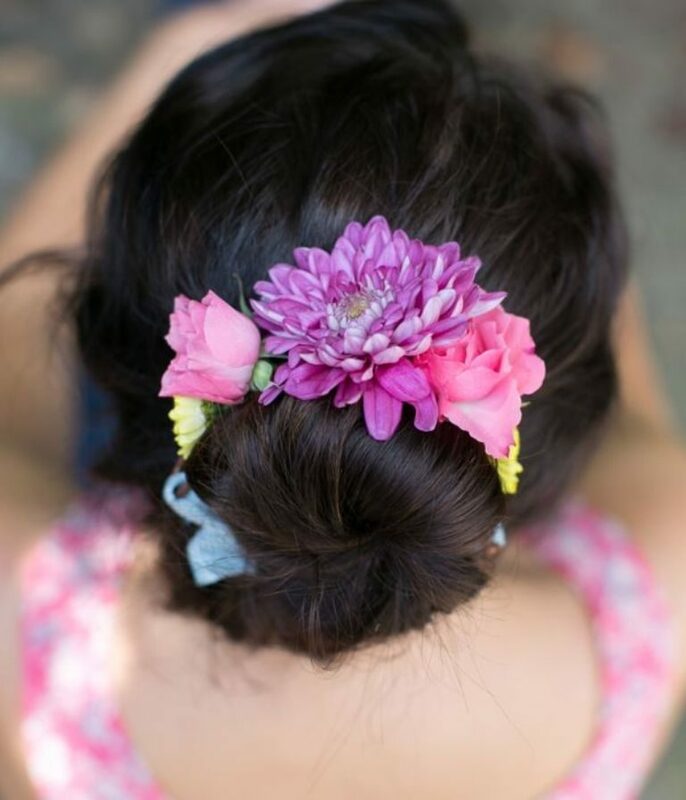 This style probably reminds you of tropical beaches in Hawaii and yes we are kind of feel the vibe. 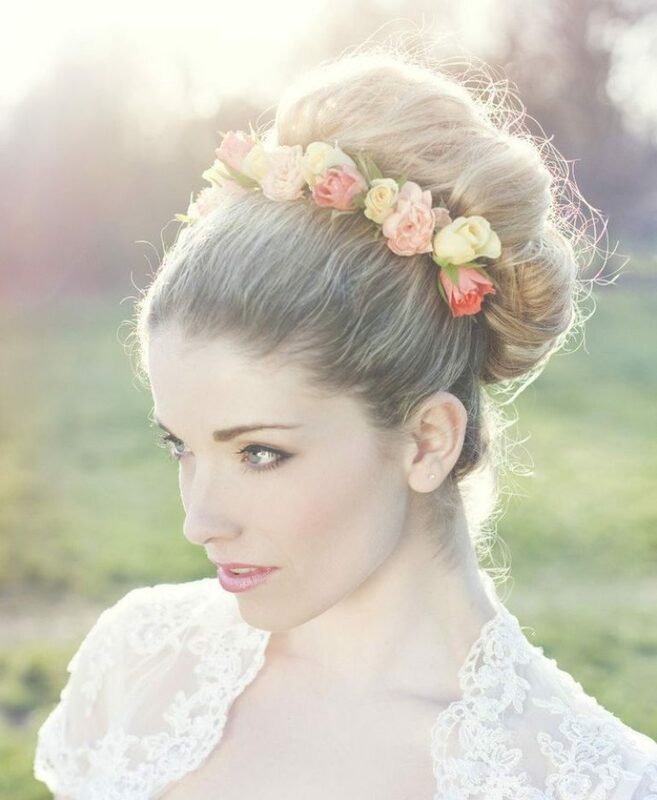 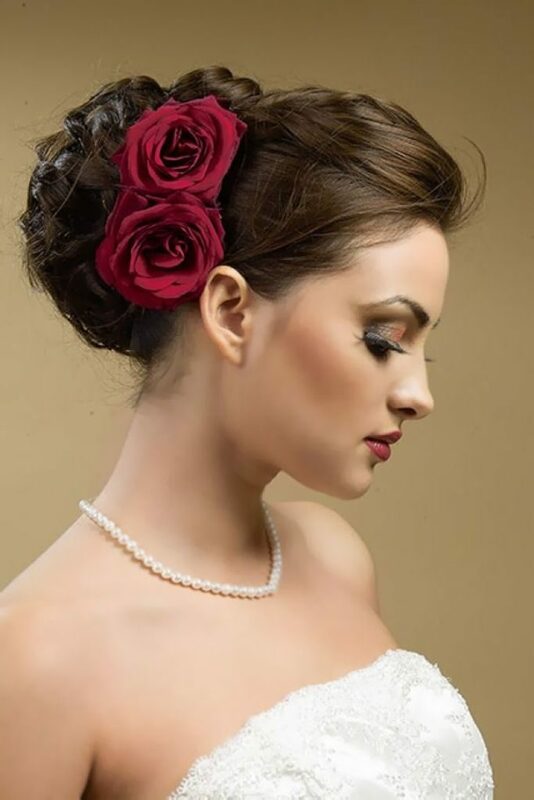 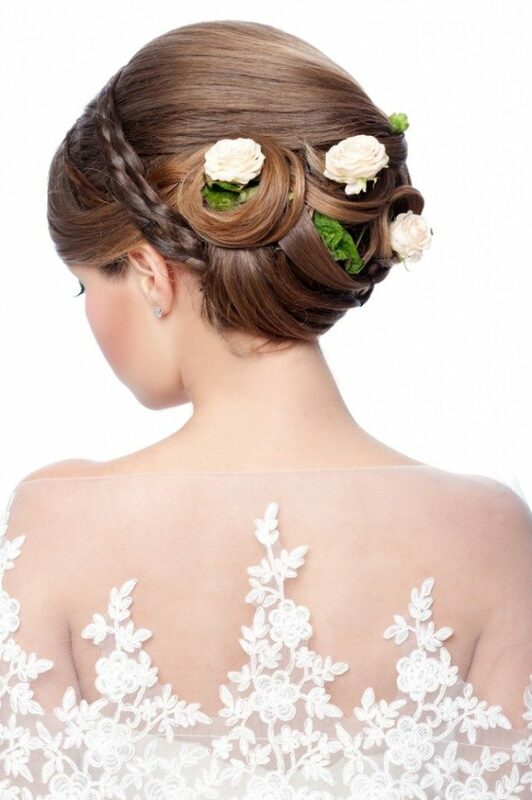 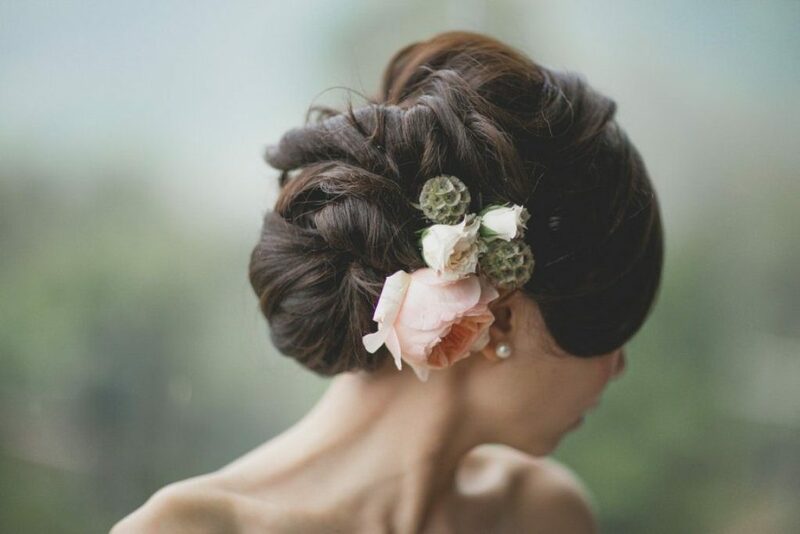 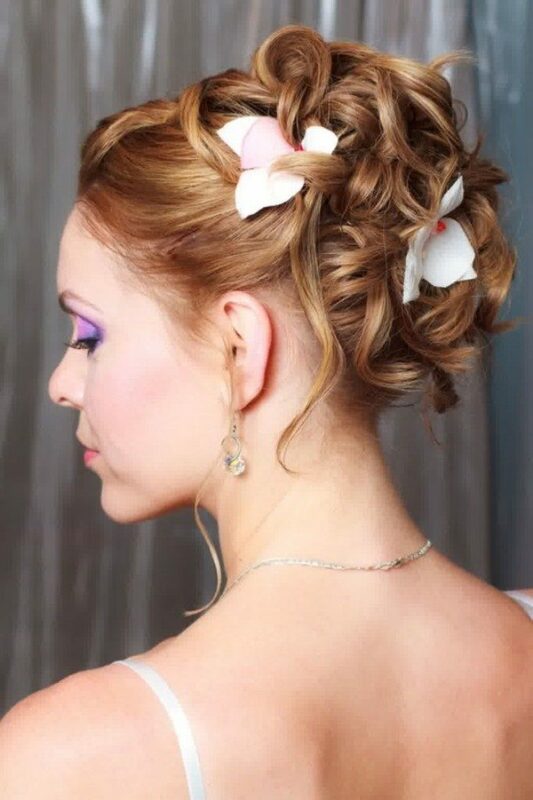 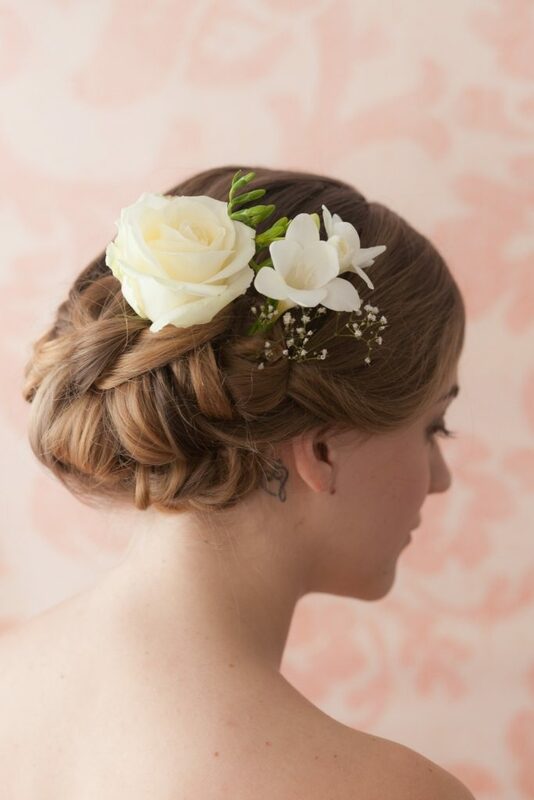 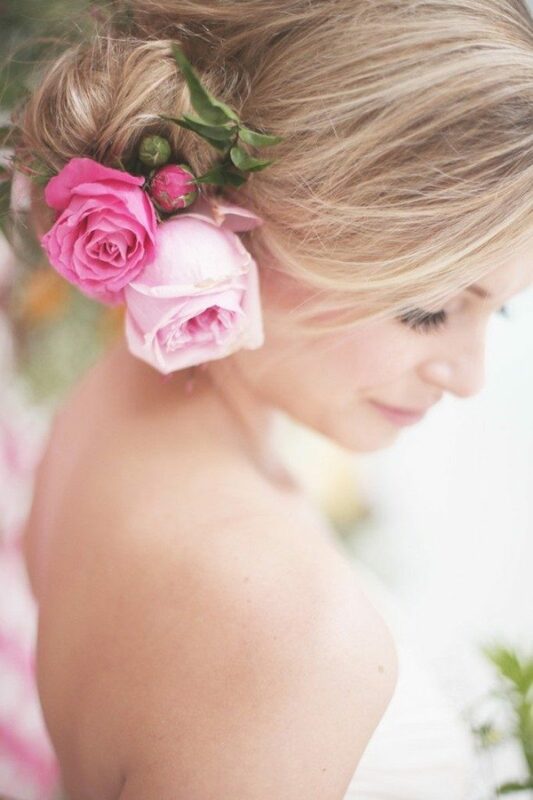 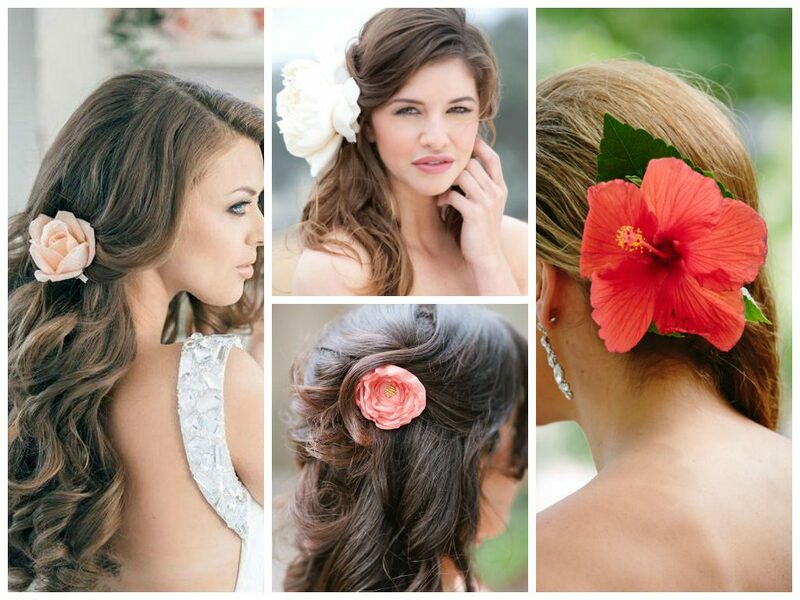 You can tuck or pin the large flower behind your ear or on the side of the updo. 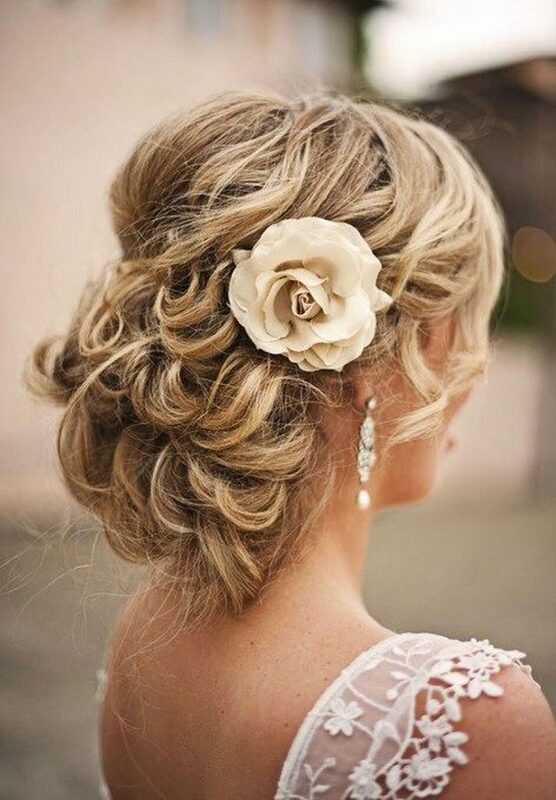 For this style, you can use a large flower with full bloom such as glowing garden roses, peonies, and gardenias. 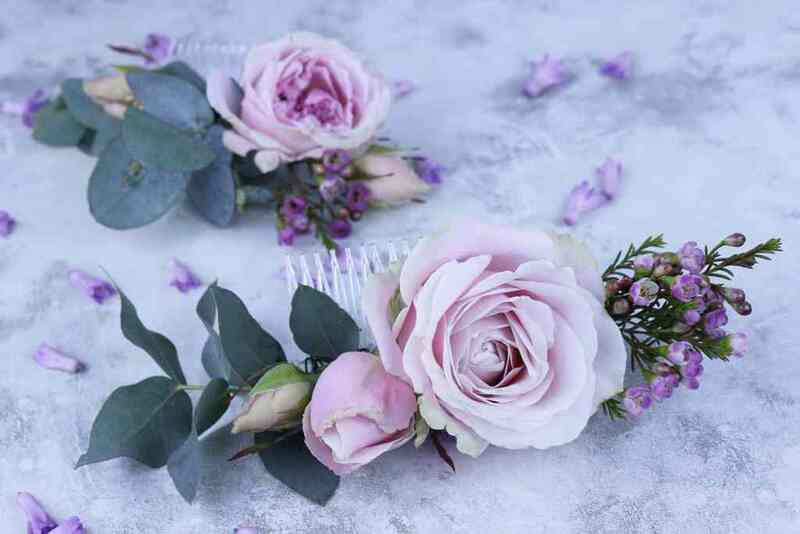 2 Flower hair comb : if the single bloom is too plain for you and do not want to use full flower crown; you can opt for the flower hair comb. 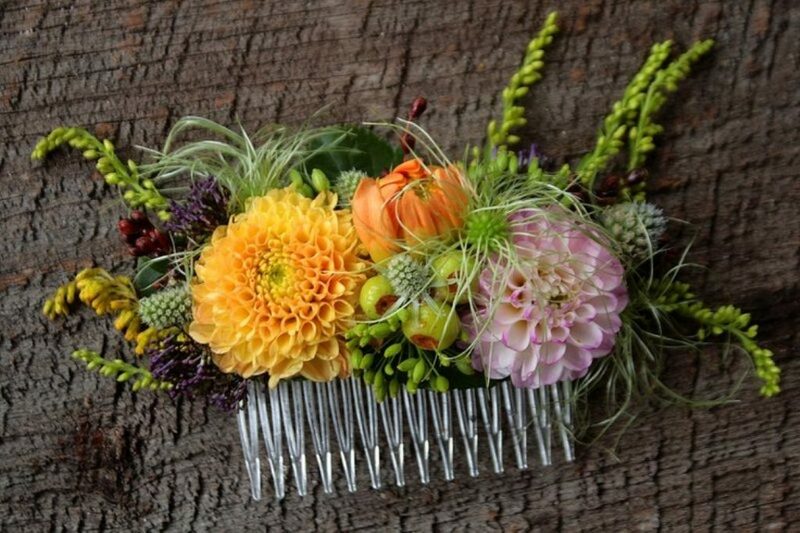 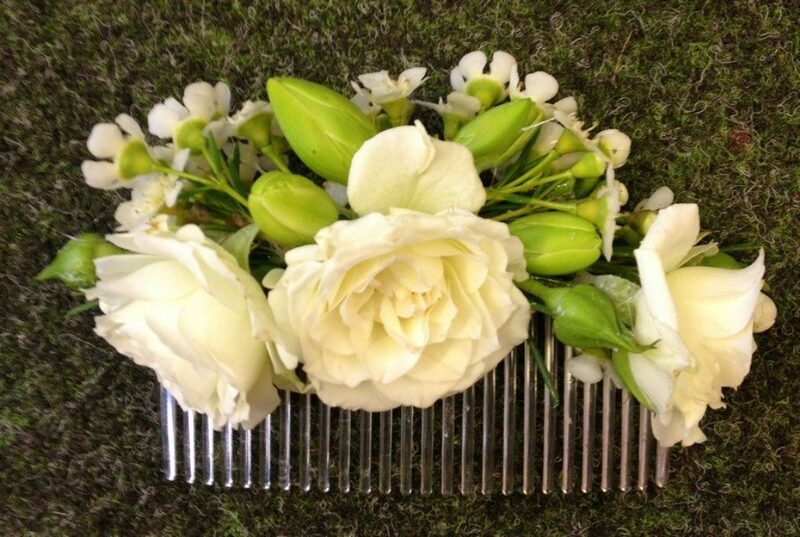 You can make this flower comb on your own. 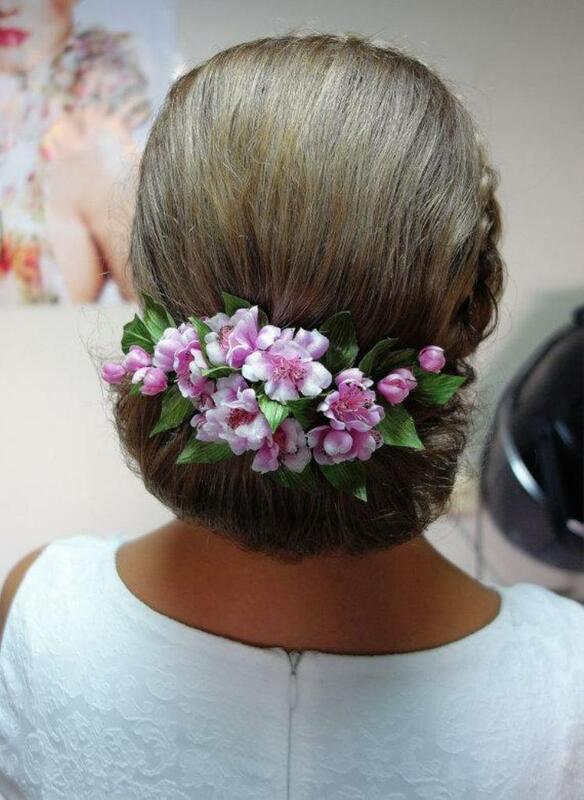 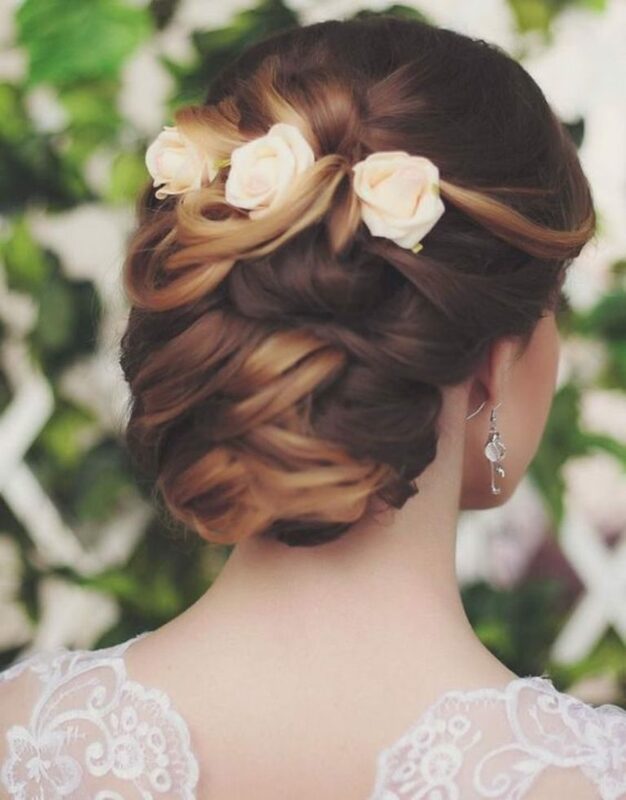 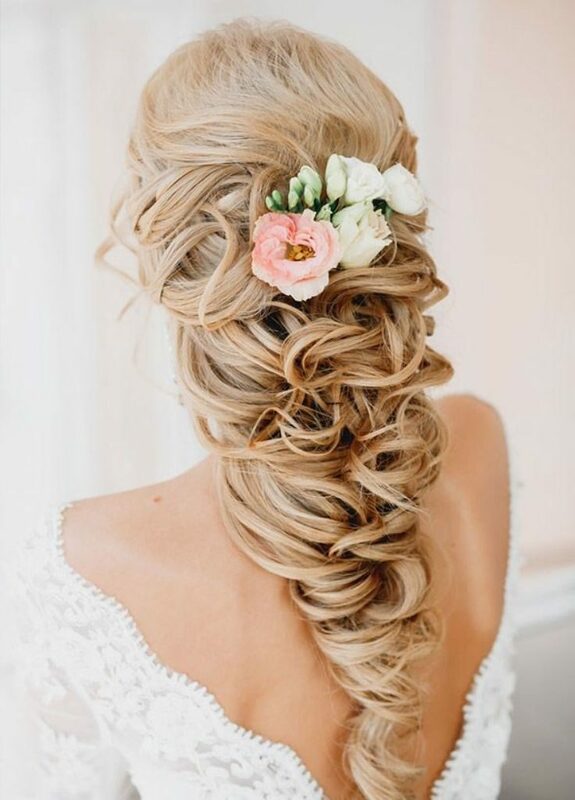 For this style, you will need to provide plain hair comb and some flowers and leaves. 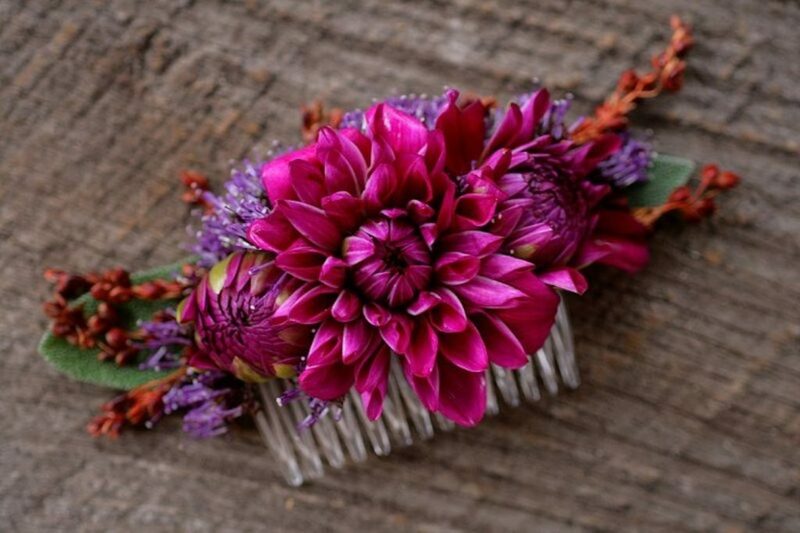 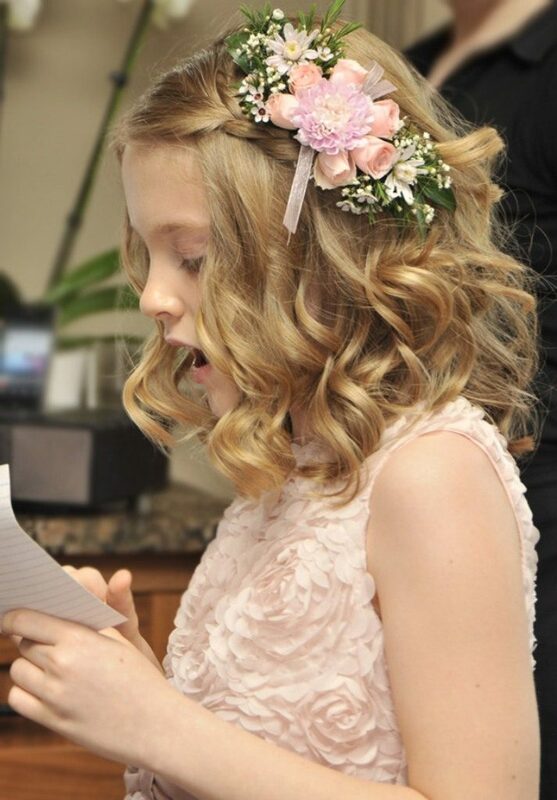 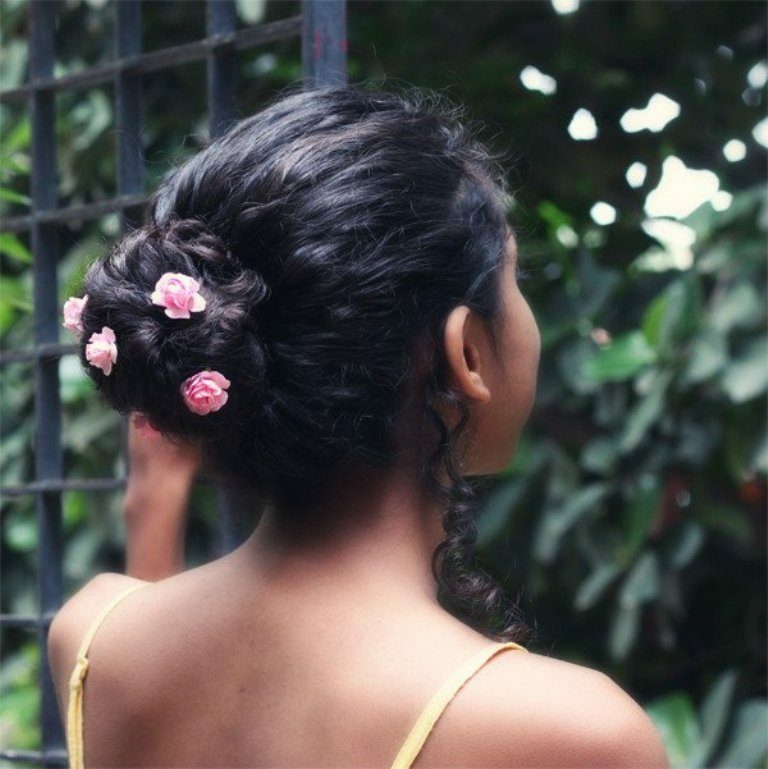 Place the flowers and leaves on the top side of the hair comb, glue it, and you can use it with your favorite hairstyle. 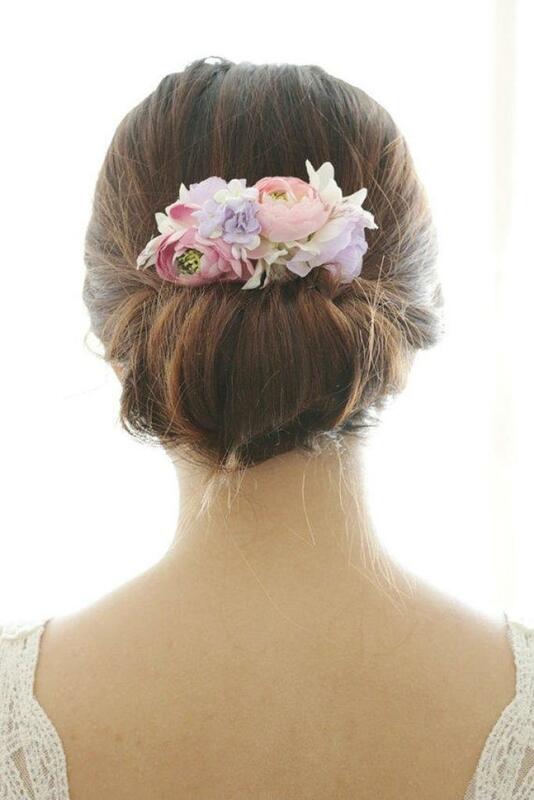 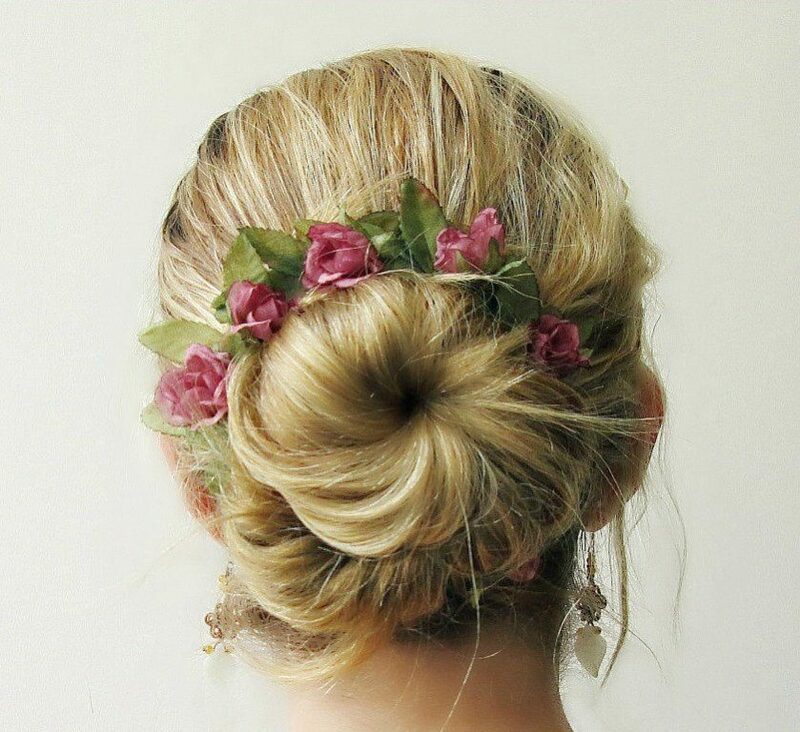 3 Wrapped around the bun : you can start with a bun such as the low or high bun, then pin the flowers around the bun. 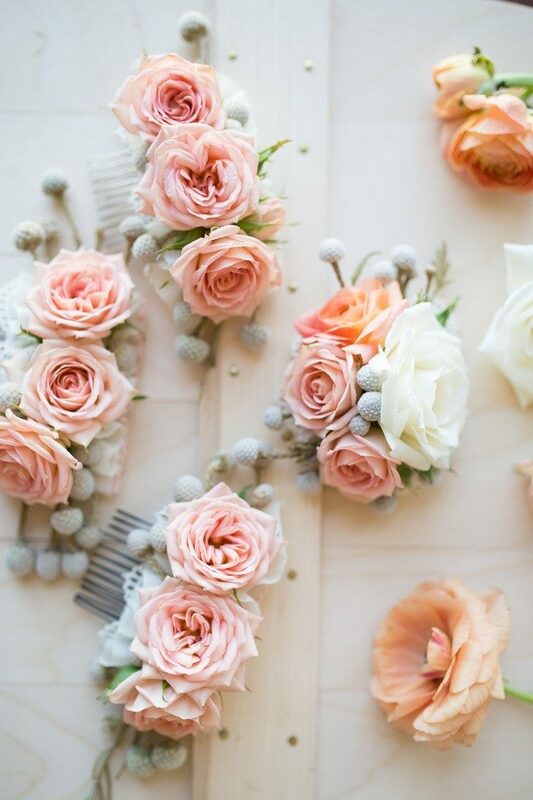 You can use small flowers such as boardie or waxflowers for safe looks and medium size flowers with multiple colors for a more whimsical style. 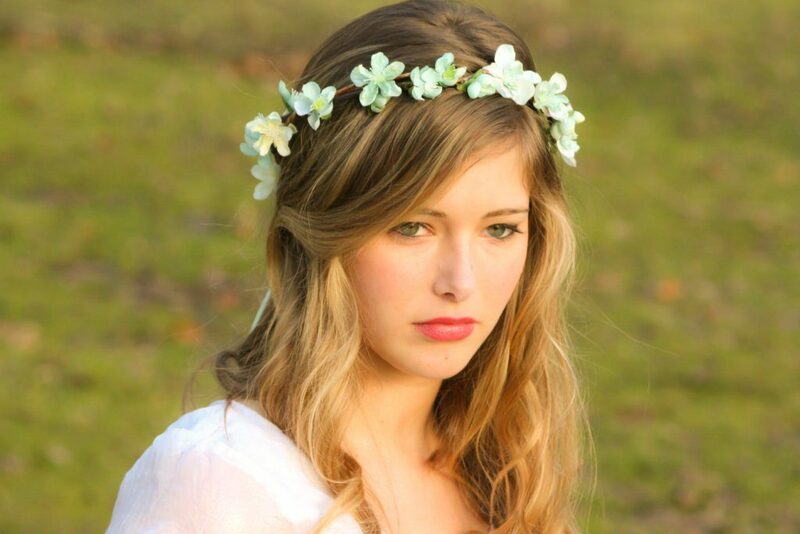 4 Flower headband : if you want something simple and easy; you can make the flower headband. 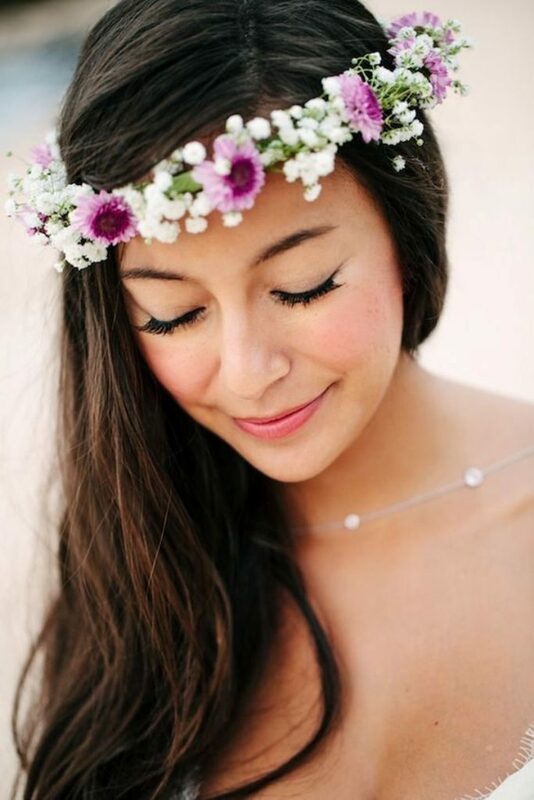 Glue some small flowers such as baby’s breath and lilac on a headband for a more bohemian look without wearing a full flower crown. 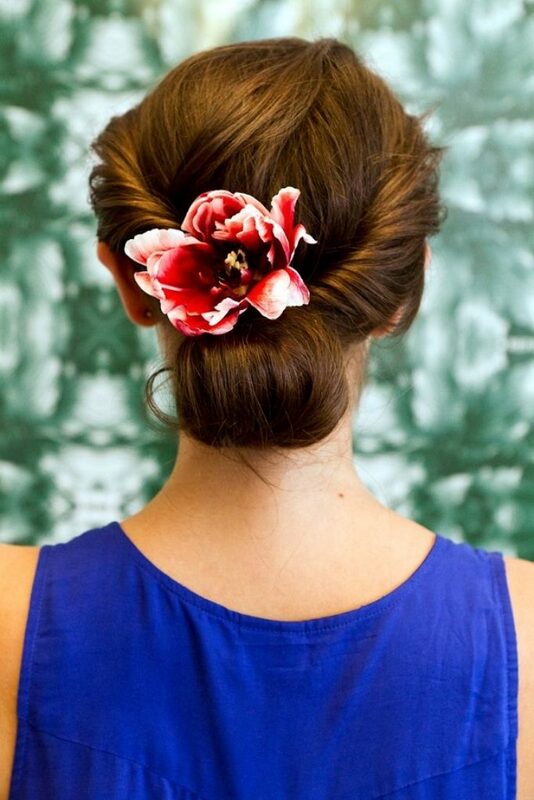 Plus, you can also let your hair down with this floral accessory.